Over 40 continuously updated, high quality, video user manuals for WordPress. All integrated with the WordPress dashboard, our videos will guide you and your users through everything they need to know. Your training time, costs and effort, just got slashed. 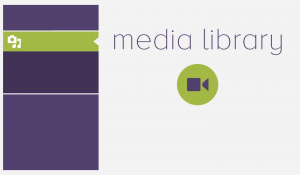 A quality unbranded video introduction to the WordPress media library. This professional quality unbranded video guides your users or clients through finding, uploading and configuring plugins on your site. This professional quality unbranded video tutorial walks your users or clients through finding and uploading themes on your site. A quality unbranded help and support video explaining the differences and similarities of pages & posts in WordPress. 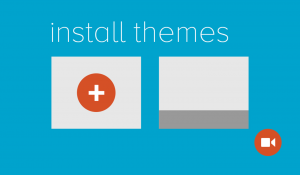 A quality unbranded help and support video that introduces your users to the ‘Tools’ menu in WordPress. This tutorial is a quality unbranded help and support video for you to use on your site–help users, clients or internal staff understand and manage the WordPress ‘Settings Menu’. This ‘Playlist’ tutorial is a quality unbranded WordPress help and support video for teaching your users, clients or internal staff how to create and manage video and audio playlists. ‘Running Updates’ is a quality unbranded WordPress help and support video–teach your users, clients or internal staff how to manage updates in WordPress. Embed and share this quality unbranded WordPress help and support video to teach your users, clients or internal staff to use the ‘Image Gallery’ feature. This ‘Create and Edit Users’ video is a quality unbranded WordPress help and support tutorial that guides your users, clients or internal staff through creating and managing ‘Users’ in WordPress. Provide your users, clients or internal staff an overview of editing posts and pages in WordPress with this quality unbranded help and support video. Give your users, clients or internal staff a simple tool for understanding the ‘Menus’ option in WordPress with this quality unbranded help and support video. This quality unbranded ‘Widgets’ video will guide your users, clients or internal staff through managing and editing widgets in WordPress. Add top quality professionally voiced video tutorials that cover every aspect of WordPress to your site. A quality unbranded help and support WordPress video teaching users how to add a featured image to posts or pages – for your clients, your users or yourself. This quality unbranded video tutorial guides your users, clients or internal staff through using the ‘Visual Editor’ in WordPress. This quality unbranded video tutorial introduces your users, clients or internal staff to the ‘Quick Draft’ module in WordPress. Use this quality unbranded video tutorial on your site and introduce your users, clients or internal staff to adding images to posts and pages from the WordPress ‘Media Library’. This quality unbranded video tutorial introduces your users, clients or internal staff to WordPress ‘Toolbar’. Make your content easier to navigate and give it extra visual appeal by introducing your users, clients or internal staff to ‘Excerpt’ with this quality unbranded video tutorial. Save your users, clients or internal staff from countless hours of stress by providing them an introduction to the ‘Restore’ tool in WordPress. Introduce your users, clients or internal staff to the embed feature in WordPress with this quality unbranded video tutorial. Introduce your users, clients or internal staff to ‘Managing Comments’ inside WordPress using this quality unbranded video tutorial. Introduce your users, clients or internal staff to the ‘Add New Page’ screen in WordPress using this quality unbranded video tutorial. A quality unbranded video tutorial for introducing your users, clients or internal staff to ‘Using Trash’ in WordPress. Introduce your users, clients or internal staff to post creation in WordPress with this quality unbranded tutorial video. This professional, quality, unbranded video tutorial guides your users, clients or internal staff through the process of creating and removing hyperlinks in WordPress. This quality unbranded video tutorial introduces your users, clients or internal staff to ‘Categories’–for improved usability and simplified site management. Use this quality unbranded video tutorial to introduce your users, clients or internal staff to ‘Editing Images’ from the WordPress visual editor. Guide your users through ‘List’ creation using this quality, unbranded, professional video tutorial. 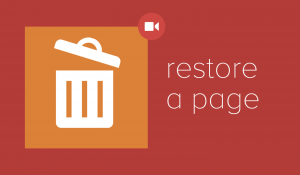 This professional quality unbranded video tutorial guides your users through replacing images inside WordPress posts and pages. Introduce your users to ‘Tags’ with this professional quality unbranded video tutorial and connect your readers to the content that interests them. This professional quality unbranded video tutorial will guide your users through editing images in WordPress using the ‘Image Editor’. Familiarize users with the WordPress dashboard with this professional grade video. This professional quality unbranded video tutorial will introduce your users or clients to the page and post formatting options. Guide your users or clients through adding images from URLs using this quality unbranded video tutorial. Use this quality unbranded video tutorial to introduce your users or clients to ‘Uploading Images’ inside of WordPress. Introduce users or clients to the styling text in WordPress with this unbranded video.